COMIC ANDY GOLD TALKS ABOUT OVERCOMING HEROIN ADDICTION! | Oh Man, That's Awful! Explícito COMIC ANDY GOLD TALKS ABOUT OVERCOMING HEROIN ADDICTION! Desde: Oh Man, That's Awful! Did you hear the one about the Mormon heroin addict who got into comedy while forced into rehab after nearly dying in his grandma's house through an overdose on her birthday? 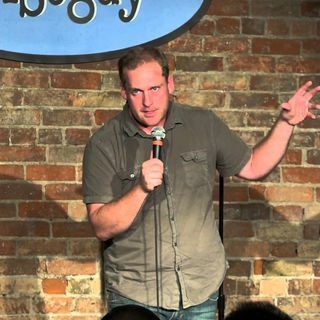 You will in this episode, when comic Andy Gold of AddictsComedy shares his incredibly funny-awful stories about heroin addiciion,big pharma, rehab, comedy and Mormonism, all in one pithy yet powerfully funny episode! Tune in!